It may not look it at a glance, but Uncanny Valley is a very ambitious game. It’s a survival horror, but instead of waiting for you to drive it forward, the story just rolls on, with or without you. It’s up to you how much you engage with it and what you do with your time on each in-game night. How much do you want to explore? Do you want to just live an easy life as a security guard for an abandoned factory where nothing ever happens, or do you want to figure out what happened? You do what you want to do, other characters do their thing, and the cards fall as they will. If you “fail” a part of the game, you don’t get to retry, but have to live with the consequences of that failure – a broken leg that makes you walk slower, a turn of events that prevents you from getting a certain key item. At least, that’s the idea. In practice, it’s something far less groundbreaking: an adventure game with a limited branching narrative. At the end of each shift, you get some surreal insight into Tom’s mind by way of his nightmares. You flee from hordes of masked assailants and navigate mazes of mutilated body parts, until you either escape or get caught – either way, the dream ends, and then its back to the grind. Put on your uniform, go do your job (or don’t, if you so prefer), and maybe do some investigation if you want some answers to the many, many questions the game puts in front of you. It’s in this first hour that Uncanny Valley is at its most intriguing. The freedom to do as you please creates a strange sense of anxiety around trying to make the “best” use of your limited time. 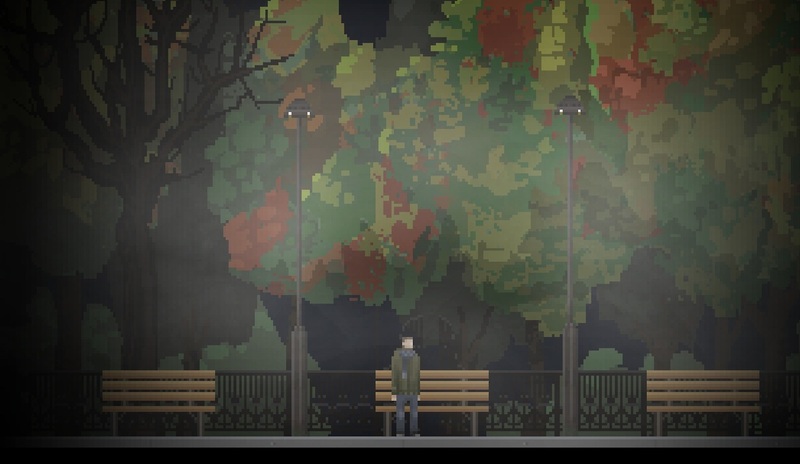 Coupled with the eerie atmosphere – made all the more surreal and imposing by abstract pixel-art graphics – you’ve got a game that’s quite unsettling. It doesn’t take a lot to guess at the factory’s secrets (the title of the game is a pretty big hint), but Tom’s mysterious history and bizarre dreams put forward plenty of questions that you’ll want to find answers to. 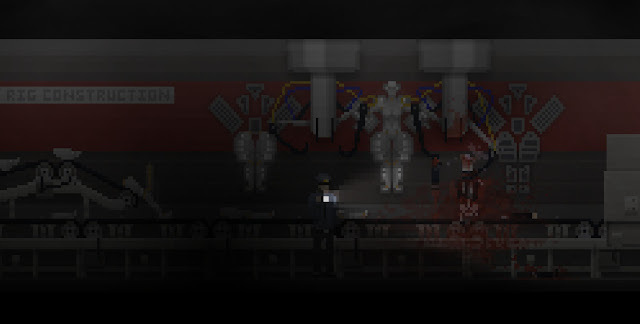 In this first hour, Uncanny Valley is pure adventure game, and it’s full of tension and dread. Then it throws that all away in favour of a tedious, generic survival horror experience. You see, despite the bold ambitions of making you a player in a story without necessarily being its driving force, after a few shifts, Uncanny Valley becomes just that. 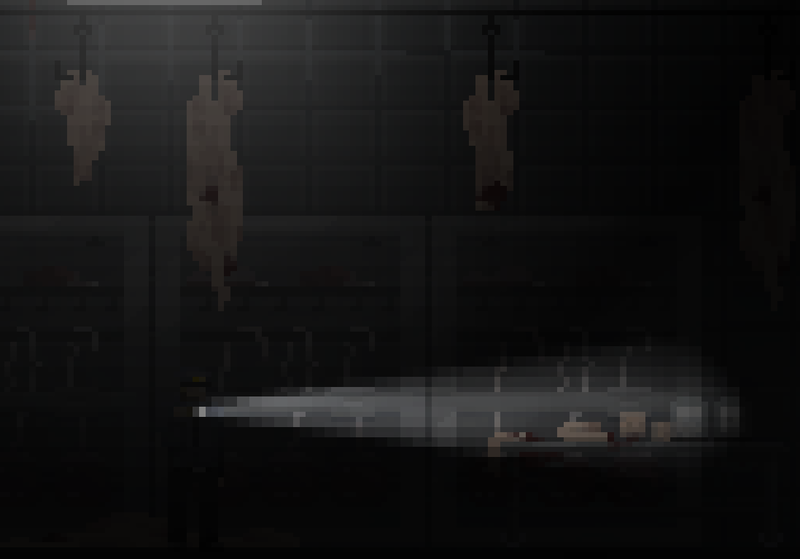 You’re thrust into a stealth-based survival game as you try to get to the bottom of the factory’s basement levels, avoiding strange, horrible assailants who’ll maim and kill you. That itself isn’t a problem – plenty of great games have been built on that formula. The issue with Uncanny Valley’s take it abandons the things that the first half of the game does really well in favour of a generic survival horror experience that leaves a lot to be desired. Tom’s general helplessness and inability to run for more than a couple of seconds before losing his breath all create a potent sense of powerlessness, but that quickly gives way to tedium thanks to clunky stealth mechanics, unreliable controls, trial-and-error puzzle design, and permanent death. Sure, you can survive one or two failures, because you’ll get maimed instead of killed, but when you actually die – which will happen – that’s the end. Start again from scratch. This wouldn’t be an issue if the whole game had the design philosophy of the first half. 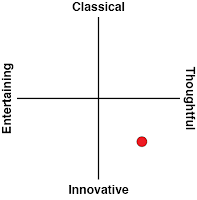 It’s built for multiple plays, and that’s the only way to really piece together the story. But all that’s thrown away in the second half, in favour of something far more linear, so having to repeatedly play through the whole game – short as it is – is an ordeal. The idea of permanent death fits so well with the philosophy underpinning that first half, but it’s implemented in the worst way possible. The frustrating part is that it seems entirely pointless, other than to make Uncanny Valley feel more like a “game”. The different story branches all depend on your actions in that first half; the survival horror stuff is just an unnecessary obstacle to seeing that story through. If the developers had been content to just play to the game’s strengths as an adventure game, Uncanny Valley could have been something really good. Sadly, the shoehorning in of dull “survival horror” pulls the rug out from under that potential.